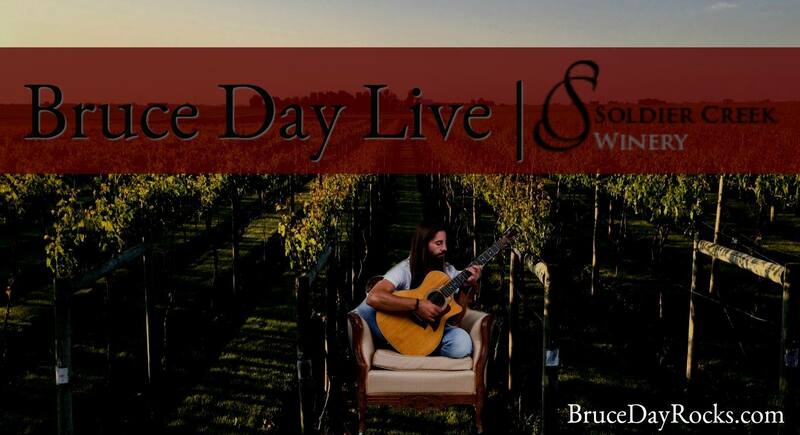 Join us for an afternoon of FREE, LIVE music at Soldier Creek Winery on Sunday, September 9th from 3-5PM featuring Bruce Day Rocks! Bruce is a NE Iowa born, lifelong singer and 20 year guitar player/performer who has toured the Midwest as a founding member of Stable Daze. Now based out of Des Moines, IA, Bruce has focused on solo shows and has played extensively throughout Iowa and the Des Moines metro area. With a loop station and a kick drum, Bruce is now aspiring to branch out, building a larger following and to support his family by exclusively offering his musical talents. His newly released children’s album, “Baby Giraffeyraffe” is making headway on the kids market. There is much more creativity to come! Dream Big and Do Bigger.